We currently offer three different backplates to suit the period of property and level of decoration required. Three handles are also available and these can be inter-changed with any of the backplates. We are also able to laser cut backplates to match existing windows should this be a requirement. 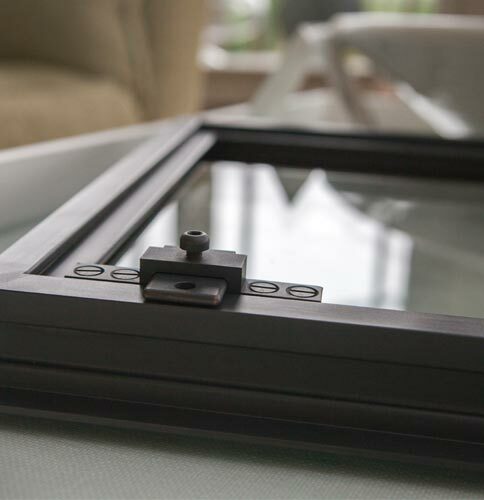 When manufacturing, we usually allow for one handle to be fitted on casements under 1100mm high and two handles on larger windows. The casement stays we offer are Swan neck and Manor and these sit on either a plain or fleur-de-lys peg. 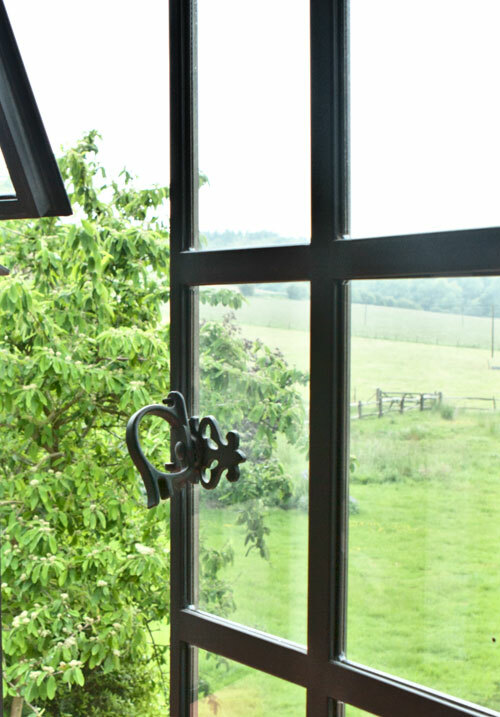 For certain sizes of window we are also able to provide a sliding stay which fixes the window in the open and closed position. To increase security, an optional locking nut can be incorporated in the peg which locks the stay in the closed position. 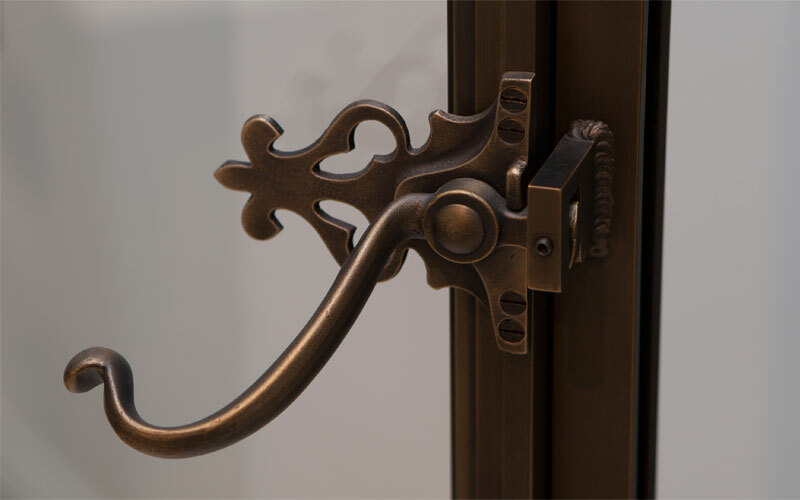 The ‘D’ handle and Scroll handle can also be fitted with a grub screw and locking key. 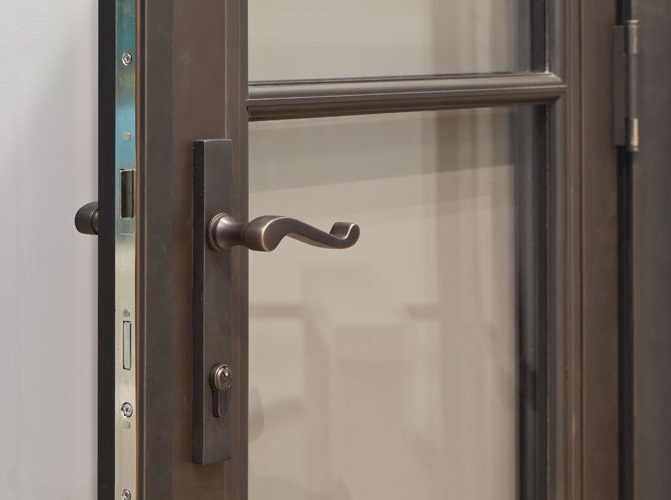 Hinge bolts can be added as an optional extra security measure to secure the opening window within the frame, prohibiting its removal should the hinges be tampered with. 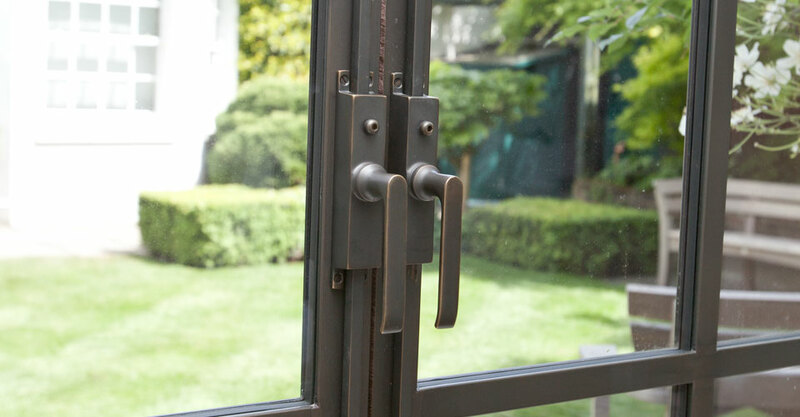 Window restrictors can be fitted to stop windows being fully opened. This is useful for children’s rooms or particularly high windows. For traditional leaded lights, saddle bars can be provided for supporting the glass via copper ties. They are usually fitted on the inside and are riveted into position. There is a choice of either a 6mm round bar or a 6mm square bar which can also have a decorative twist. Items marked with an * are priced in addition to advertised frame cost.